Tired of the cold temperatures, piercing wind and the yucky ‘white stuff’? We are too, so come craft with us. This class is all about accessories. 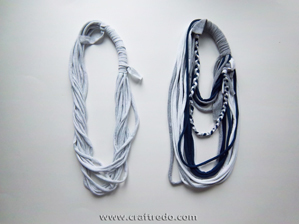 Crafters will make a recycled bubble necklace, found object ring and 2 repurposed scarf designs. Funny story about the scarves – there’s a photo of only one design because I couldn’t find the other scarf. I looked and looked all day long for the thing, then at night I realized . . . I was wearing it! I was too tired to snap a shot of it, but trust us it’s super cute. 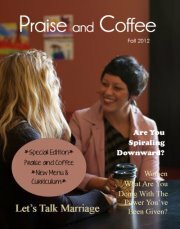 Class will be held at Brandon Elementary Art Room, (Martin Public School) 1619 University Street; Martin, Michigan 49070. Register by Thursday, March 20th. Cost for the session is $20 per person. Please bring payment to the craft class. All supplies will be provided by Katie and Korene. Feel free to bring your own treats and drinks. No alcoholic beverages, please. We ask that we keep the session for adults only (no kids please). Teens 13 and up are welcome to attend, but must be accompanied by a paid adult. Feel free to invite friends. Enter through the main entrance on the West side of the building (Elementary entrance). Please park in the parking lot – NOT the loop or the student drop off area. Please arrive around or before 1:00, we will be locking the exterior doors (for our safety) a little bit after 1:00. Don’t forget: There will be a table set out if you would like to display a flyer/brochure of what YOU do. 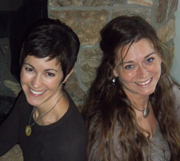 Are you an exercise instructor, product consultant, the head of an organization? Bring a brochure or flyer to display on the table. 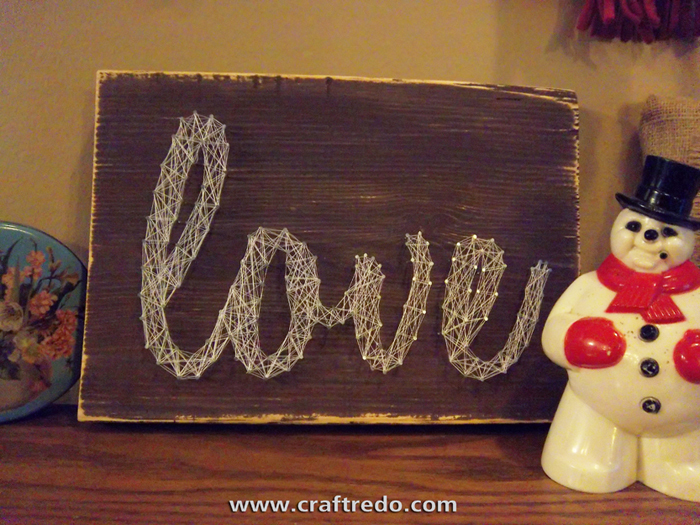 We have a craft planned for our February session that you’ll just love! 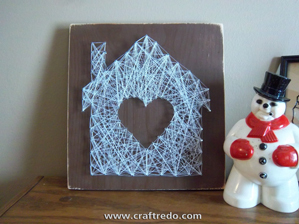 String art is making a come-back and boy do we have some amazing tips and tricks in helping you create the most wonderful Valentine treat. 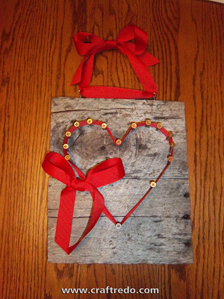 Crafters will have the opportunity to choose from 2 Valentine themed designs: Love & Heart-N-Home. 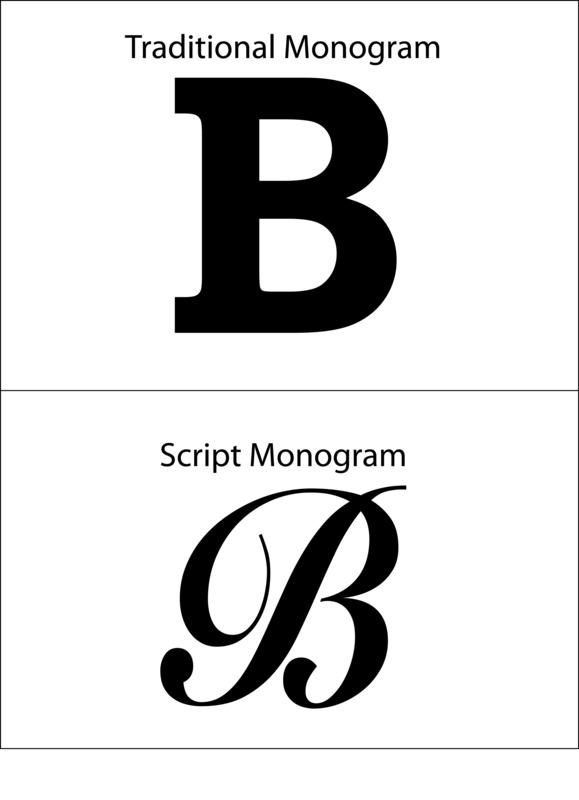 OR if you’d rather have a more traditional layout, you can choose a Monogram in either Script or Traditional type font. If you have a hair dryer, hammer & needle-nose pliers bring ‘em. We’ll have some available, BUT depending upon how many crafters we have sign up . . . well . . . if you have your own, you won’t have to share and/or wait to get craftin’. If the complexity of the class concerns you, don’t worry. We had our kids try it out first and they soared! Peek at the photo, that’s why it’s best to bring your own hammer and pliers. The pliers will save your fingers! Monogram letter (Be sure to let us know which letter and which type font: Script or Traditional, you would like to use.) If you DO choose the Monogram style, we suggest picking the Traditional style. The Script is a little more advanced. AFTER attending the class you’ll feel confident to tackle the Script. When selecting your background color and thread color, we suggest choosing contrasting colors. 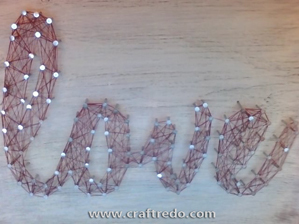 We found that dark backgrounds with light thread work best. Register by Thursday, January 30th. 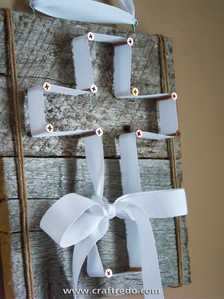 This is a really fun craft. Hope to see you Sunday! 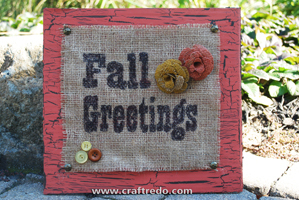 We’ll start your Thanksgiving week off right with an upcycled Holiday craft. 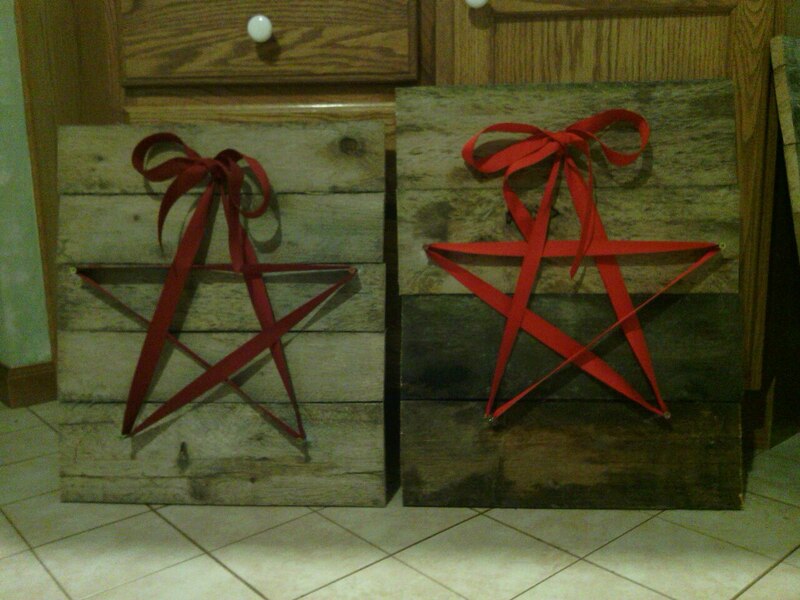 Crafters will choose from 3 designs: heart, cross or star. Size of finished product will be roughly 9 1/2″ w x 11″h. What a great way to get ONE of your Holiday gifts off your shopping list. If you happen to have a drill, bring it (electric or cordless – if it’s cordless, the drill needs to be fully charged when you bring it to class). We will have some available to use – but if you can bring your own drill, feel free to do so. We are planning on holding the class at Brandon Elementary Art Room, (Martin Public School) 1619 University Street; Martin, Michigan 49070, but waiting for the final A-OK from the school. We’ll keep you updated. Register by Thursday, November 21st. Enter through the main entrance on the West side of the building (Elementary entrance). Please park in the parking lot – NOT the loop or the student drop off area. Please arrive around or before 2:00, we will be locking the exterior doors (for our safety) a little bit after 2:00. 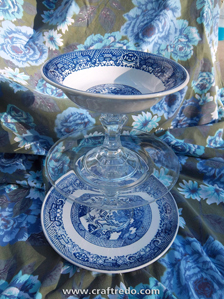 Ever wanted to turn those china dishes in your cabinet into something you may ACTUALLY use, but didn’t dare repurpose your grandmother’s coveted china? Well . 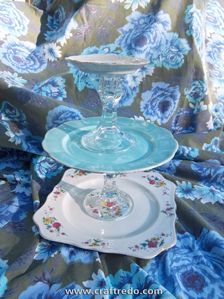 . . don’t worry, we bought somebody else’s grandmother’s china for you to use during this craft session. 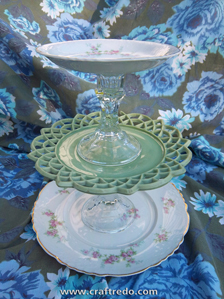 These Serving Towers will be an amazing center piece to your Holiday feast, a fantastically thought-provoking hostess gift or a useful teacher appreciation gift. 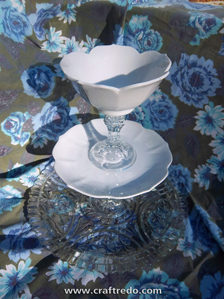 Many different materials will be offered to choose from: vintage china, glass platters, aluminum serving trays, and more. 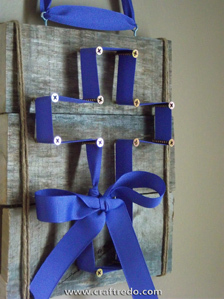 We will also incorporate a secret repurposed how-to craft that will make gift giving fun, easy and recycle-e this Holiday Season. Brandon Elementary Art Room (Martin Public School) 1619 University Street; Martin, Michigan 49070. Register no later than THIS Friday 4:00pm, October 11th (we will be shopping for supplies on Saturday). Register no later than Thursday night, September 26th (we will be shopping for supplies on Friday). What are 2 creative gals encouraged to do with an upcoming summer jam-packed with 8 graduation parties, 4 showers and 2 weddings? Well . 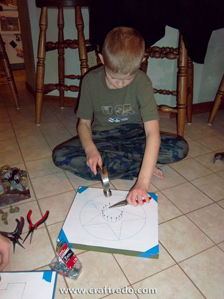 . . they get craftin’, of course! We really wanted to ensure our gifts were hand-crafted and heartfelt since each recipient is so dear to us. We bounced around the idea of personalization, it appears to be the trend currently – monograms, items with names, etc. Here’s what we came up with for 2 of the wedding shower gifts. Print out desired letter from computer (On the computer, you may need to adjust the horizontal scale of the letter to achieve desired letter form.) Flip paper over, with a pencil color on the backside of the paper where the imprint of the letter appears. It may help to tape paper onto a window so you can see the letter shape. Flip paper back over (to the front) and tape onto inside (brown) side of the box. With the letter, you will be working in reverse. So when you face the bottom of the finished mold towards you, the letter will look correct. Trace over letter with a sturdy pen. When paper is lifted, you will see the letter imprinted onto box. Cut out letter. Trim out 1″ long strips from box. The strips will be used for the walls of the mold. Flip letter over so the printed side of the box will be the insides of the mold. We found that the printed side of the box is coated which slows down the process of water seeping into the cardboard mold. With duct tape, attach the 1″ strips onto the sides of the letter (make sure printed side of box will be on the inside of the mold). Be generous with the duct tape, seal all edges with it. It’s not gonna look pretty. You don’t want the cement to ooze out, so seal all areas. You have just created the mold for the cement. Mark 1/4″ and 1/2″ marks on a couple of the walls of the mold. This will help you monitor the amount of cement to pour into the mold. Mixing the quick-setting cement: We have a very odd ratio, 6 cups of Quikrete® to roughly 1 1/4 cups water filled 2 letter ‘B’s & 1 letter ‘S’. It’s very scientific, trust us (Ha! Ha!). You don’t want the mud (that’s lingo for ‘wet cement’) to be too wet or too dry. Our best explanation is it looks like oversized oatmeal (the kind you would get at a restaurant)?? Reference the photo in the slide show. Stir mixture in ice cream bucket, mixing with paint stirrer. Lay letter mold on corrugated cardboard – if you need to move the piece, you will have a means to pick it up and transport it. Use the larger spoon to gently ‘spoon in’ the cement. Pour enough cement to fill ONLY up to the 1/4″ mark. Lightly tap mold to get cement to fill-in all areas (shift the cardboard underneath). Gently lay in wire shape, do not push the wire shape down. Rest wire onto the cement. Continue to fill the mold with the remainder of concrete up to the 1/2″ mark (you will be pouring the remainder of the concrete on top of wire shape). Shift the cardboard underneath, this will help get out the air bubbles. We also gingerly raised up the cardboard (with letter on cardboard) and carefully dropped onto floor. Be extremely careful, you don’t want to be too rough (Don’t do this process too much). Try not to fill concrete past the 1/2″ mark – we noticed the molds started to warp and/or ‘blow out’. If edges start to bow out, back off on the concrete. Grab some boards and brace the mold if bowing starts. Allow concrete to set overnight. The next day, GENTLY remove cardboard (Be careful, we’ve busted many letters being too eager to rip off the cardboard). Letter may need to set out in order to fully cure. Do NOT lay in direct sunlight. This can cause the piece to dry too fast and crack. It’s best to allow the letter to dry slowly in a shaded area. Doing so will make the piece stronger. 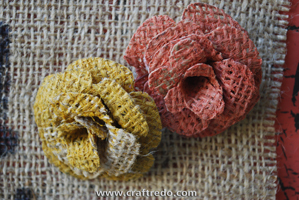 Decorate with jute string and washer embellishment. Note: Hangers may be added during pouring process or after project has been fully cured. 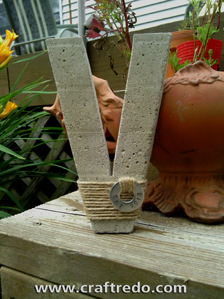 When you have poured the concrete to the 1/2″ mark, slightly insert hanger into the wet cement (you can use a mirror hanger or create your own hanger from wire). We’ve also attached hangers to the back of the piece after it has been fully cured with a cement caulk. Another Note: You CAN use store bought paper mache letters for the mold, by trimming off one side of the letter. We wanted our craft to use repurposed materials and to create our own style of letters. 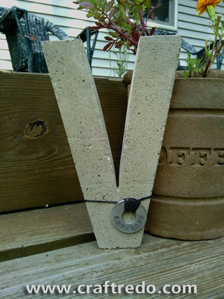 Crafters will create a concrete letter and have the opportunity to create a stamped washer embellishment. Brandon Elementary Art Room (Martin Public School) 1619 University Street; Martin, Michigan 49070. We are waiting for final approval on location (Korene turned in the paperwork late). Don’t foresee any problems, but wanted to give you a ‘heads up’ in case of location change. Register no later than Friday, August 9th. Email us 2 letters that you would like to use at: craftredo@aol.com by Friday, August 9th (IE: I would like to use the letters V & K). We will provide letter templates at the class (that’s why we need to know which letters you would like to use). Crafters will use the letter template to create a mold for the concrete. The mold will be constructed from cereal boxes! It’s amazing and . 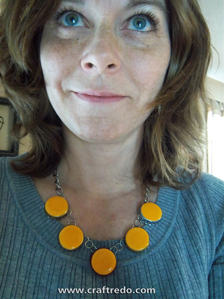 . . yes, using a material that is repurposed. Gotta love that! If you happen to have a HAMMER, bring it. We will have some available to use. Please put your name on the hammer. Enter through the main entrance on the West side of the building (Elementary entrance). Please park in the parking lot – NOT the loop or the student drop off area. Please arrive around or before 6:00, we will be locking the exterior doors (for our safety) a little bit after 6:00. 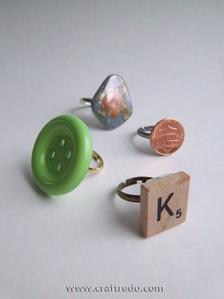 March Craft Class – Accessories! Looking For A Craft Show To Attend? Having trouble viewing a post? We recommend using either Firefox or Chrome for your browser.